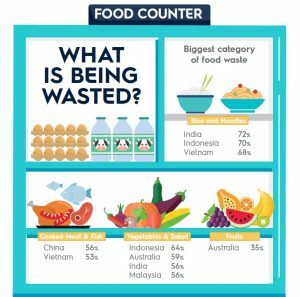 A new survey into food waste, conducted by leading home appliance company Electrolux, has found that while many cited food waste to be a very important issue across the region – by as many as 94% of Filipino, 93% of Indian and 90% of Indonesian households – in general, less than half of households, and as few as a third (33% Indonesia), think about food waste regularly in their homes. 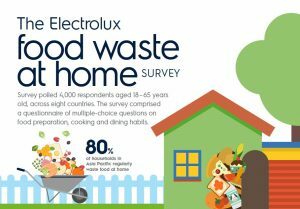 In addition, the Electrolux Asia Pacific Food Waste at Home Survey, which was conducted in 4,000 households across eight markets in Asia Pacific, also found that on average, one-third of Asian households waste one to two plates of food per week. Australians top the table for the least food wasted, with just over one in four households claiming to throw away nothing and 56% wasting less than one plate a week. This is closely followed by Malaysia (54%) and the Philippines (49%). Meanwhile, China and Vietnam lag behind in food waste prevention with 87% of households throwing away food each week. In fact, only 34% and 41% respectively, throw away less than one plate of food a week. China scored the highest (27%) in terms of households wasting three to four plates per week. Cooked rice and noodles constitute the biggest category of food waste, particularly in India (72%), Indonesia, (70%) and Vietnam (68%). 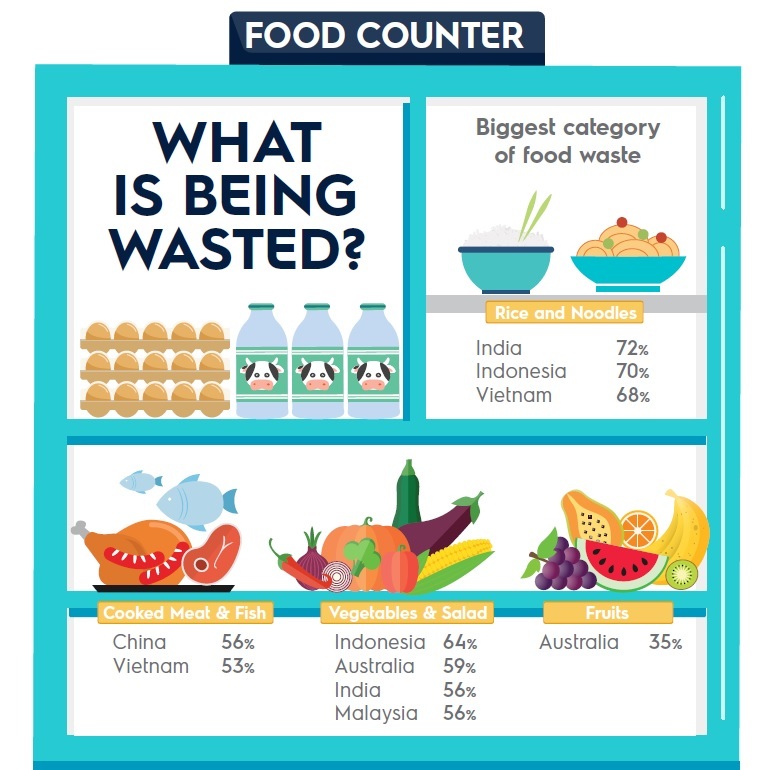 Remarkably, over half of households in China (56%) and Vietnam (53%) waste cooked meat or fish, while vegetables and salads go to waste in 64% of Indonesian, 59% of Australian, and 56% of Indian and Malaysian households. Fruits are wasted in more than one in five households across the region, with Australian households wasting a shocking 35%. What’s the cause of food waste? Reasons given for food waste are preparing too much food (34%), lack of portion control (25%), and people not showing up for meals (34%). 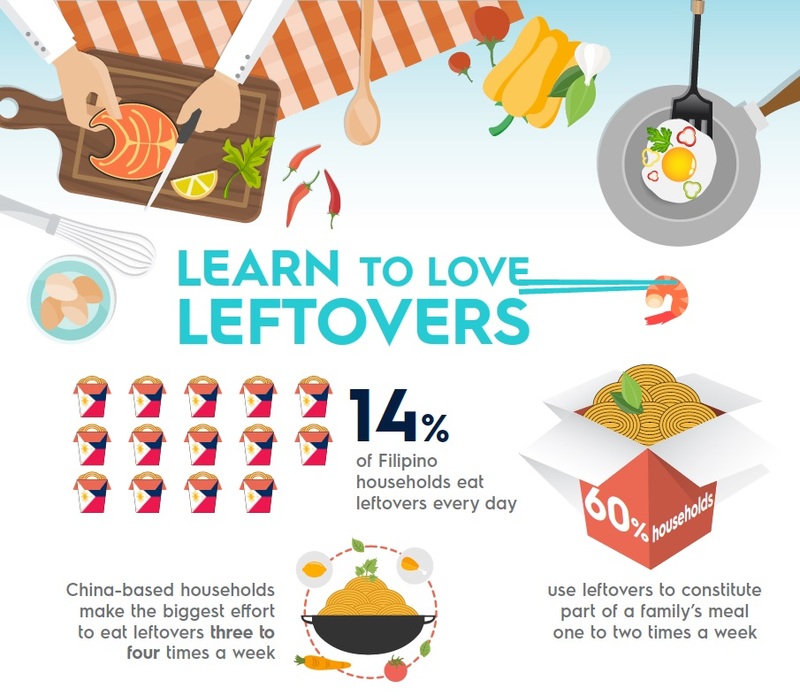 Forgetting about leftovers in the refrigerator was a reason used by almost half (49%) of all households, and 64% of those in the Philippines. Despite such high figures for food waste, leftovers only constitute part of a family’s meal one to two times a week in 60% of households. While in the Philippines 14% of households eat leftovers every day, China-based households make the biggest effort to eat leftovers three to four times a week. Incredibly, despite best intentions to refrigerate and eat food later, on average over 77% sometimes throw food away, with one in five throwing away refrigerated leftovers often. On either end of this spectrum is Thailand, where the figure rises to one in three households, while Australians waste the least leftovers, with the figure being closer to one in ten. “Through the survey, we are seeing a large proportion of households across the region actively making an effort to eat more at home. However, we also see that most don’t have the confidence in the kitchen to be creative with meals and leftovers. The aim of our food waste initiatives is two-fold: First, it’s about raising awareness on the importance of this issue. Second, we are in a unique position to help equip these households with handy tips on meal planning, cooking and preserving excess food, as well as share healthy recipes for meals and creative ideas for leftovers from professional chefs,” added Ng. According to the findings, shopping frequency also appears to have an impact on food waste, with households that shop less frequently i.e. once a week, such as Australia, Malaysia and the Philippines, wasting less food. The survey also found that while Asians are passionate about their food, with two-thirds of households in China, Thailand, the Philippines, Indonesia and India claiming to be very passionate; kitchen confidence does not reflect this passion. In addition, only a third endeavour to make leftovers more appealing. 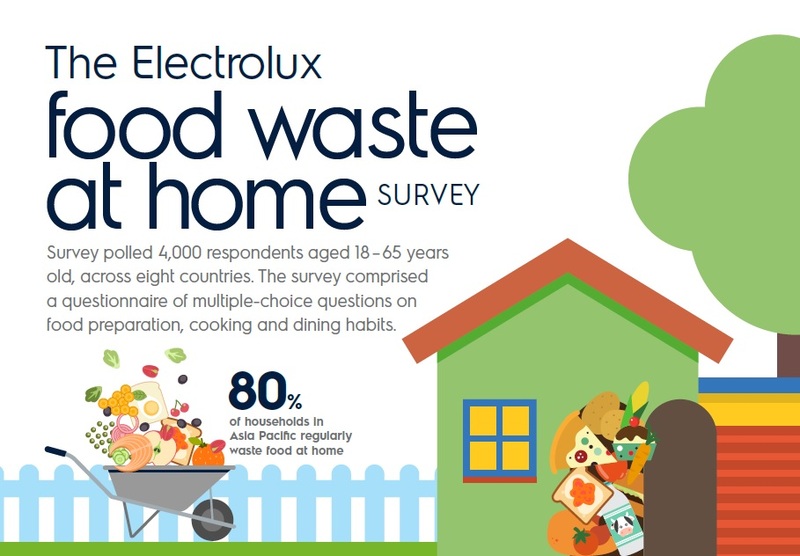 Look out for more food waste awareness initiatives from Electrolux across the Asia Pacific region from June 2016.